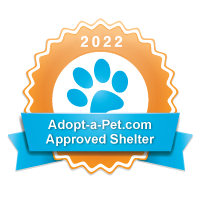 Once an animal is placed and the adoption finalized, the previous owner or guardian will not visit the animal or in any way retain control of or contact with the animal. It is very important the animal be allowed to bond with its new family in a stable situation and not be confused. Also please allow appropriate time for us to contact you. We are all unpaid volunteers who also lead busy lives just like yours. Thanks for your understanding.